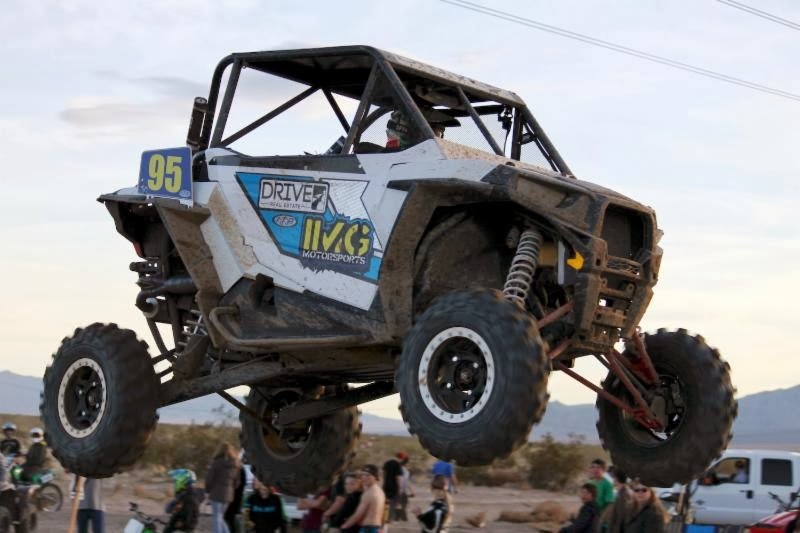 Ontario, California, February 12, 2014 – Team ITP racers recently competed in several side-by-side classes at round two of the 2014 Rocky Mountain ATV/MC World Off-Road Championship Series in Primm, Nev. Despite coming up short of a podium at either round, ITP racers have earned three spots in the top 10 point standings in both the SxS Pro and SxS 1000 classes. Honolulu Hills MX hosted the WORCS opener in mid January. Thirty-one racers entered the SxS Pro class, but only 20 finished and of those 12 completed all four laps. However, two ITP pilots finished in the top five. IMG Motorsports racer Michael Camp was the highest finishing ITP pilot, taking fourth overall in his RZR XP 1000, riding on Blackwater Evolution tires. He put in an impressive run, climbing from 11th after lap one to sixth after the second lap. By the fourth-and-final circuit, Camp had moved into the top five, ultimately taking the fourth spot. standings after two rounds of racing. Keenan Rogerson of Bakersfield, Calif., also battled hard during the SxS Pro race to earn fifth overall using ITP Bajacross tires. He completed lap one in 15th, but picked off 10 racers during the next three laps to earn the top five finish. 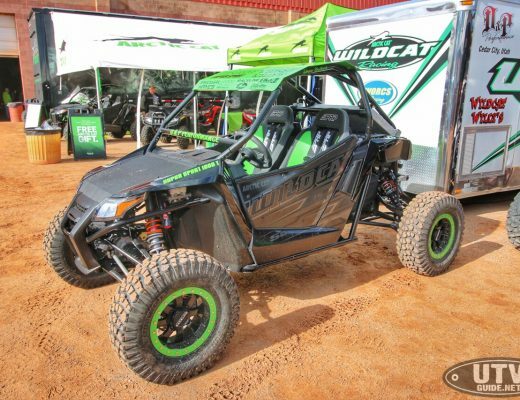 Niko Skiparnias reeled in 13 competitors with his RZR XP 900 shod with ITP Blackwater Evolution tires to earn another top 10 position for Team ITP. The SxS 1000 class had 22 entries and 19 finishers, which included four ITP racers. Team drives Kyle Melville and Alfredo Ramirez both earned top 10 finishes and were two of only nine to complete all four laps. Melville took sixth, while Ramirez was seventh. Both racers used Blackwater Evolution tires on their Can-Am Mavericks. The other two ITP racers to tally points were Justin Imhof (15th) and Sara Price (16th). Keenan Rogerson took fifth place in the SxS Pro class at the WORCS opener riding on ITP Bajacross tires. He’s currently 12th in the Pro class point standings. WORCS, presented by Motoworks and Dirtwheels, moved to Primm, Nev., for round two. The SxS Pro class had 35 entries and the starting line was determined by the each entrant’s finish at round one and gate of choice. Only 15 Pros completed all five laps and another 10 took a DNF. Del Amo Motorsports racer Pablo Veglia took home the top finishing honor for Team ITP, earning eighth. Skiparnias finished 13th. David Martinez (Murray Racing), Camp and Rogerson went 17th, 19th and 20th, respectively. The SxS 1000 standings currently include three ITP Pros. Camp is in eighth place after two rounds and just behind him in ninth and 10th are Skiparnias and Veglia. Del Amo Motorsports / ITP racer Pablo Veglia took eighth place in the SxS Pro ranks at round two in Nevada. He’s currently 10th in the class point standings. The SxS 1000 class officially had 27 entrants, but only 15 completed all five laps. Melville earned another top 10 finish, taking seventh. After two rounds, he currently three points out of fifth place. Ramirez, who was ninth at Primm, is one spot back in the point standings in eighth. The third ITP-backed racer in the top 10 is Price, who took 12th at round two. ITP support rider Carlos Quintero has notched back-to-back victories in the SxS 700 class. He runs ITP Holeshot ATR tires. Round three of WORCS is slated for March 14-16 in Lake Havasu, Ariz.
Del Amo Motorsports / ITP pilot Kyle Melville is currently sixth in the SxS 1000 class point standings. He runs ITP Blackwater Evolution tires.